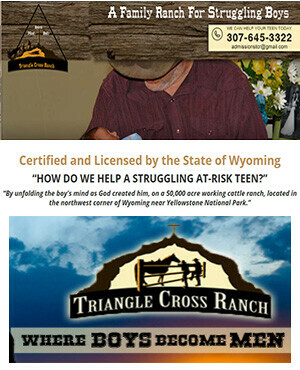 At Triangle Cross Ranch (TCR), a Ranch for Troubled Boys, we understand the value of a well-rounded education. That’s why we have effectively combined an outdoor ranching experience with a formal academic programs for troubled youth. Together, Ranch for Troubled Boys will provide your son with the confidence to succeed and the appreciation of the hard work he accomplished to achieve his educational goals. As a Ranch for Troubled Boys, we help your son to continue his current school curriculum and participate in an outstanding college preparatory academic program, regardless of the time of year he comes to Triangle Cross Ranch. Ranch for Troubled Boys can help. At Triangle Cross Ranch, your son’s scholastic education is a high priority. Your son will continue to receive his education through one of the academic programs from accredited institutions we have incorporated into our daily regimen. Our academic programs include one-on-one support that takes into account those boys who have learning disabilities or who have a history of classroom behavior. We believe that every boy who comes to Ranch for Troubled Boys is intrinsically good and capable of receiving the help to better their lives. Especially for At Risk Teens. Our program is very unique from almost all others in the competitive industry of troubled teen treatment. We are a ranch located in the one of the most desolate of places imaginable. Distractions that the outside world bestow on teenage boys is an inconvenience that is simply non-existent at our Ranch for Troubled Boys.